Stuffed with old paperbacks, mini-free libraries dotting front lawns across Toronto are supposed to foster literacy, build community and improve access to books. There’s just one problem. Researchers at U of T and Ryerson University say the phenomenon tends to be concentrated in well-educated, well-to-do neighbourhoods served by actual – and also free – public libraries, raising questions about whether they're actually encouraging others to read. However, Jordan Hale, a geographer who is also a reference specialist at U of T Libraries, and Ryerson librarian Jane Schmidt are skeptical. Using a spatial analysis of Little Free Libraries in Toronto and Calgary with data from Statistics Canada's 2011 National Household Survey, they show that the majority of the mini libraries in these cities are in wealthier, mostly white neighbourhoods where people are more likely to have university degrees – areas like the Beaches and Forest Hill. Moreover, many of the libraries are near Toronto Public Library branches, the authors say. “In other words, not in book deserts but in the neighbourhoods that already enjoy high access to books (as well as transportation and other public services),” they write. Hale, who has a master's from U of T in cultural geography, says she became interested in investigating the Little Free Libraries after noticing that they are concentrated in a certain type of neighbourhood, she said. She met Schmidt over Twitter, where they discussed pursuing a project on the Little Free Libraries. “We have no problem with the concept of a neighbourhood book exchange or putting stuff out on the curb,” Hale told U of T News. “I just curb-scored a pair of red velvet pumps in my size as my neighbour was putting them out. For their research, Schmidt registered and set up a Little Free Library herself, learning in the process that they aren't free. The registration fee ranges from $42.45 to $89 USD, according to the study, and the boxes go for between $179 and $1,254 USD. In response to budget cuts, El Paso Public Library imposed a $50 fee on non-residents. 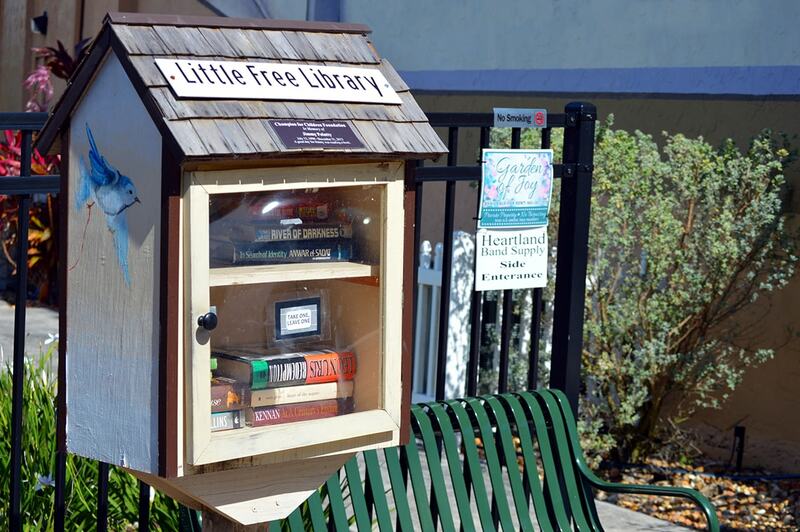 The village of Vinton announced five new book exchanges to compensate, Hale and Schmidt say. “This solution demonstrates that in at least one small corner of the world, politicians looked to this social enterprise as a solution to the lack of access to public library services,” they write. If readers take anything away from their study, Hale hopes it will be that tackling the issues underlying inequality and access to books are complicated – and not easily solved by installing a box at the nearest street corner to offload books like Word 2003 For Dummies.